* What genuine nudism is. And what it most definitely is not! * Why you should become a nudist. How even occasional naturism enhances your health and how wearing clothing can seriously damage it! * How to become a nudist. A step-by-step guide, including all the contact details you'll need. * Where to go nudist. Explore the exciting nudist world of exotic beaches, luxurious resorts, fabulous cruises and international friendship. * Full information on important topics such as nudism for singles, couples and families with children, nudism and the law, nudism and health, nudist etiquette, nudism and religion, nudist vacations and travel. 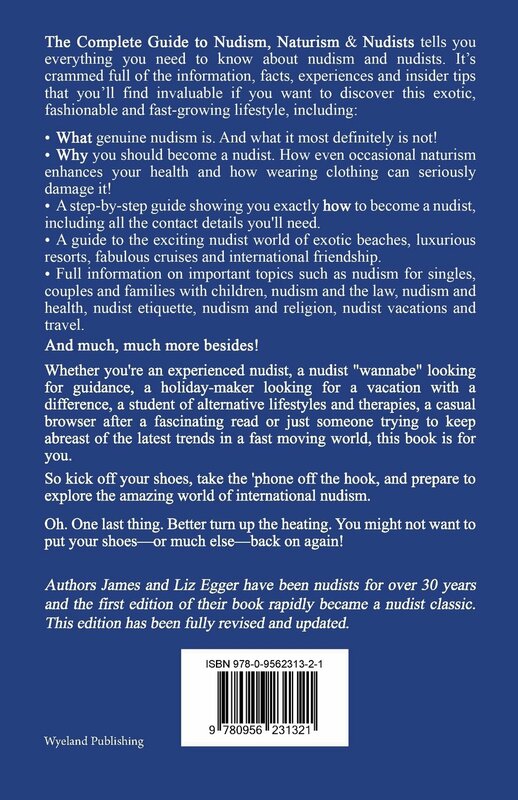 So kick off your shoes, take the 'phone off the hook, and prepare to explore the amazing world of international nudism. OH. One last thing. Better turn up the heating. You might not want to put your shoes ? or much else ? back on again! Te koop op Amazon .